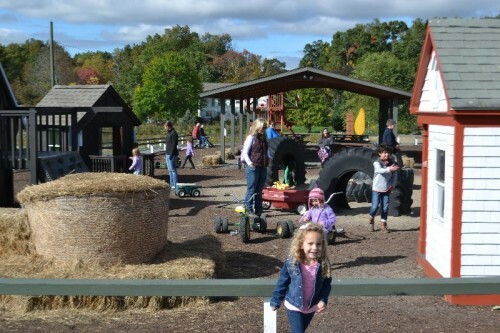 March Farm in Bethlehem, CT recently made my list of 50 fall activities for families in CT. I’ve heard great things about the farm and knew I needed to experience it for myself. We visited during the week on a day off from school. 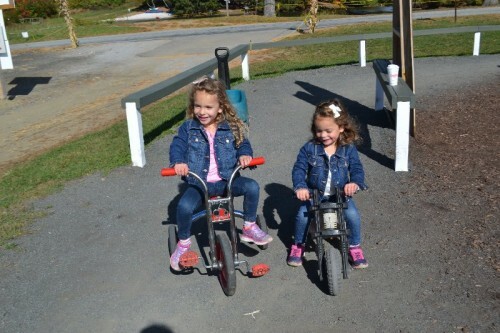 We enjoyed a few hours at the farm playing on the playground, riding tricycles, visiting with animals and finding our way through a corn maze. 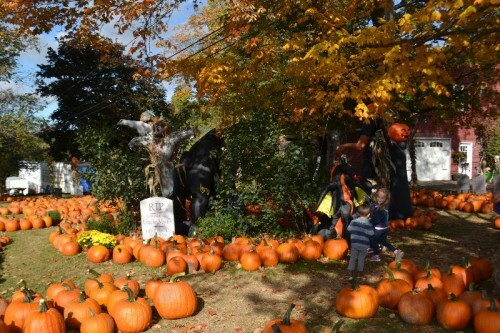 On the weekend there are even more fall activities for the whole family. 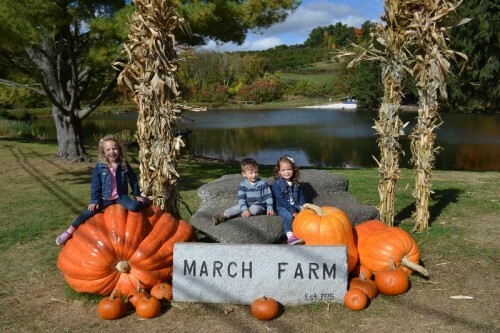 March Farm is a fourth generation working farm located in the rolling hills of Litchfield County. 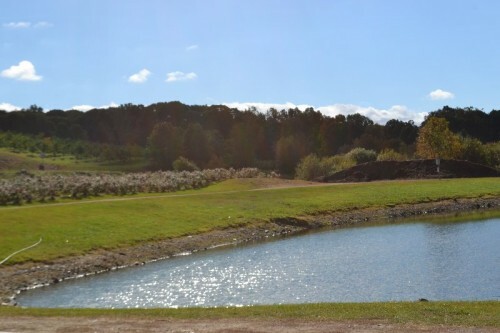 It’s set on a picturesque setting with amazing autumn views. They offer pick-your-own fruit, a farm store, fall activities and private events. 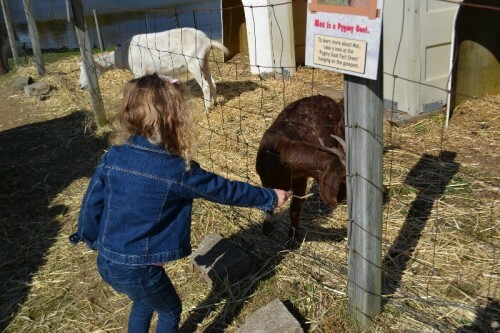 We visited March Farm for their family-friendly fall activities. Activities during the week are all free (donations are welcome). 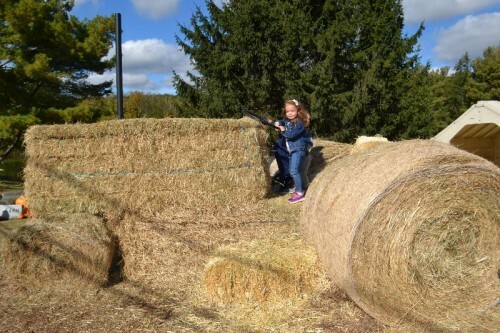 On the weekend they offer hayrides a large corn maze ($8 pp), and snacks. They have a nice selection of pumpkins and apple picking during the fall. 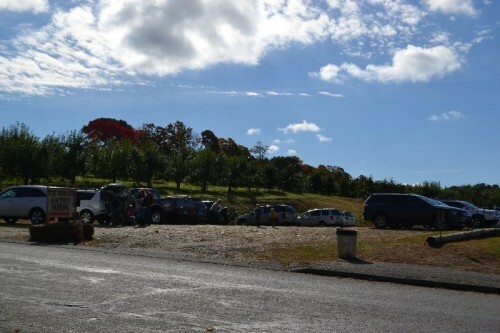 Parking is located next to the farm store. 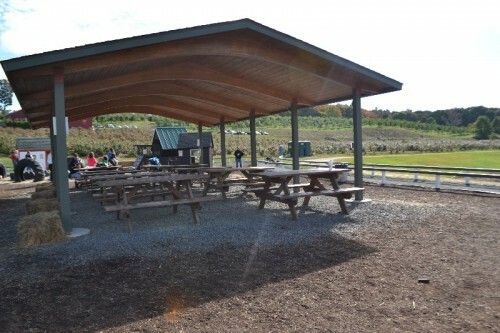 The playscape, farm animals, and small corn maze are all located down hill. TIP: Be prepared for a steep climb up and down. Baby wearing might be the best option if you don’t want to push up the hill. 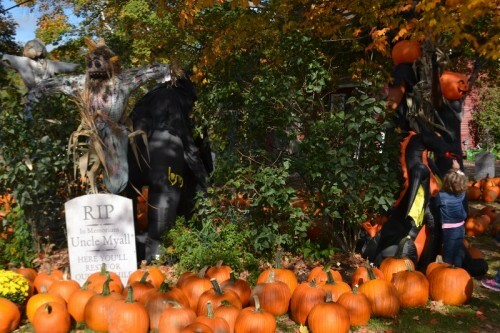 The farm has a nice selection of pumpkins for purchase located across from the farm store. 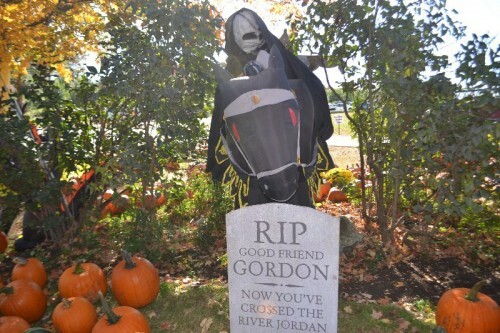 There were a few blowup Halloween decorations that grabbed my kids’ attention. 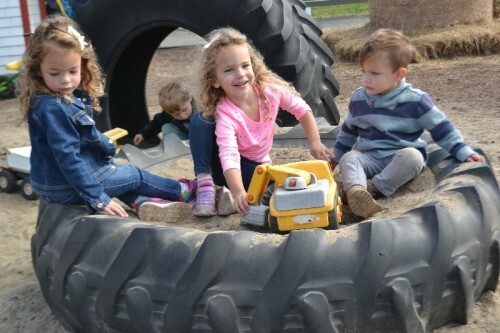 The playscape was the highlight of the trip for my kids. 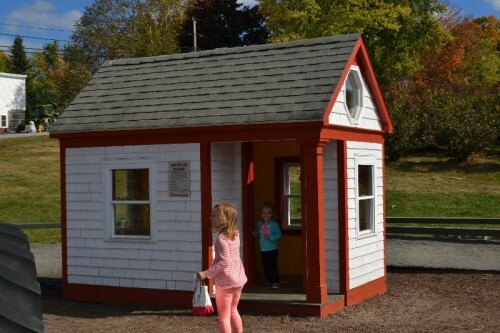 It’s the perfect size for toddlers through elementary aged kids. 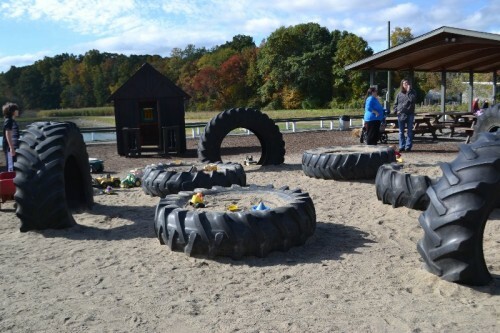 They have several different play houses, giant tires for climbing and sand play, hay bales, tricycles, and a playscape. There’s even a covered pavilion perfect for lunch. The whole area is fenced in from the street to keep all the little ones safe. 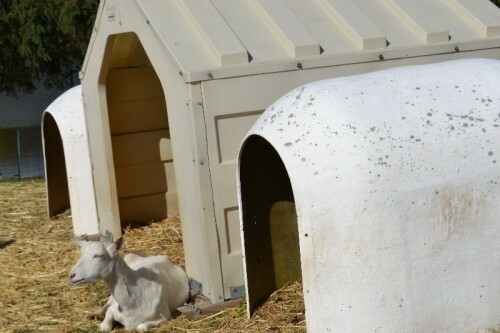 Located next to the pond and directly across the road from the playscape are the animals. 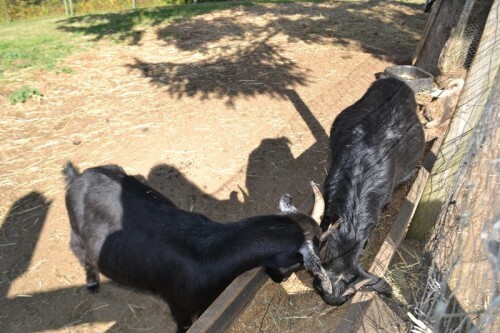 There are several friendly goats and sheep. 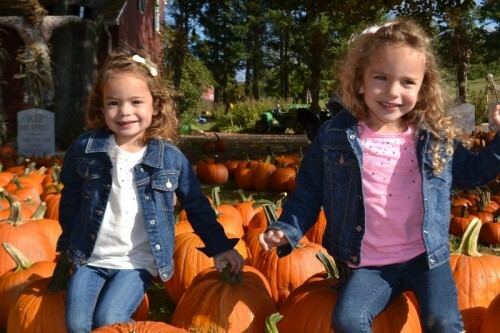 There’s also giant pumpkins and a hay bale in the shape of tractor perfect for some great fall photos. 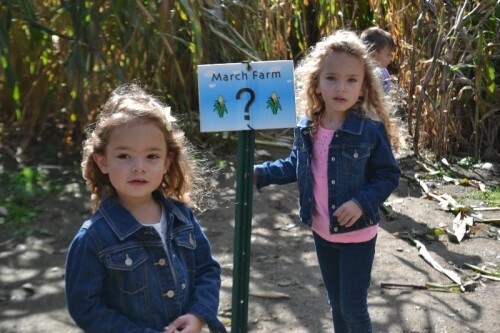 There are two corn mazes at March Farm. 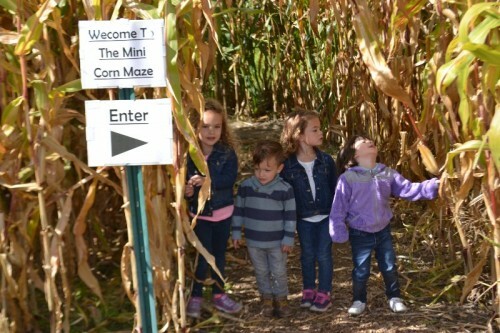 Only the mini corn maze is open during the week, and it’s FREE during the week! 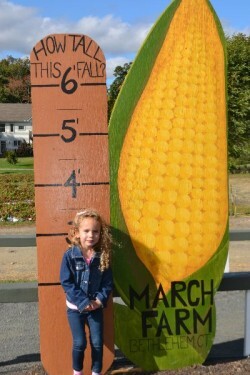 On the weekend admission to both corn mazes is $5 per person (ages 3 and under free). 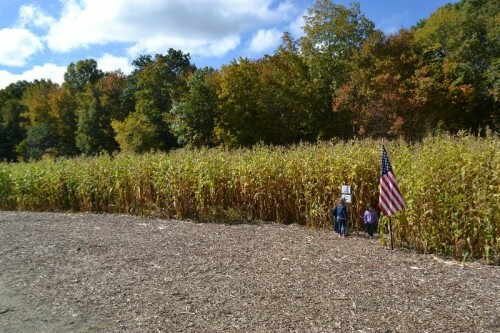 The large corn maze is 5 acres and open from 11 am – 5 pm on Saturday and Sundays in September and October. The mini corn maze is located behind the playscape. If you didn’t know it was there you’d might miss it. 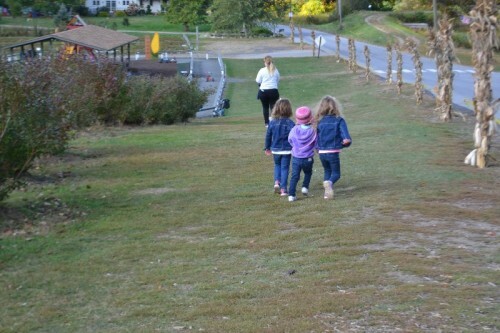 The mini corn maze is much smaller and perfect for younger children. 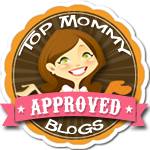 I loved that it felt like a real corn maze with twists and turns. 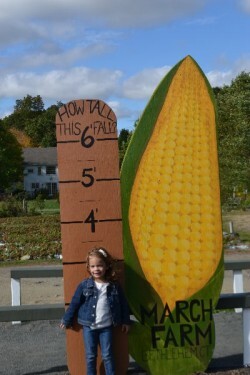 I’ve been to many “mini” corn mazes where it takes 30 seconds to find your way out. This felt like a real maze, just smaller. 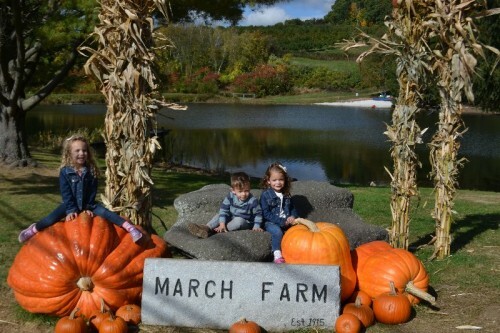 March Farm is the perfect spot to enjoy fall in Connecticut. 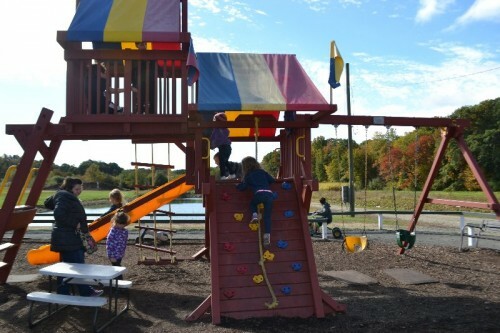 There are plenty of activities for the kids to enjoy and the best part is that everything is free during the week. I’d highly recommend a visit to the farm, especially in mid-October when the leaves are at their peak!